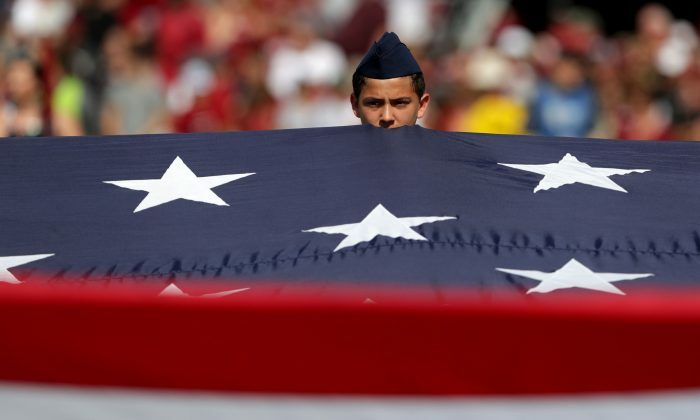 “The Star-Spangled Banner” should be dropped as the American national anthem because it’s “racist,” says the president of the National Association for the Advancement of Colored People (NAACP) in California and Hawaii. 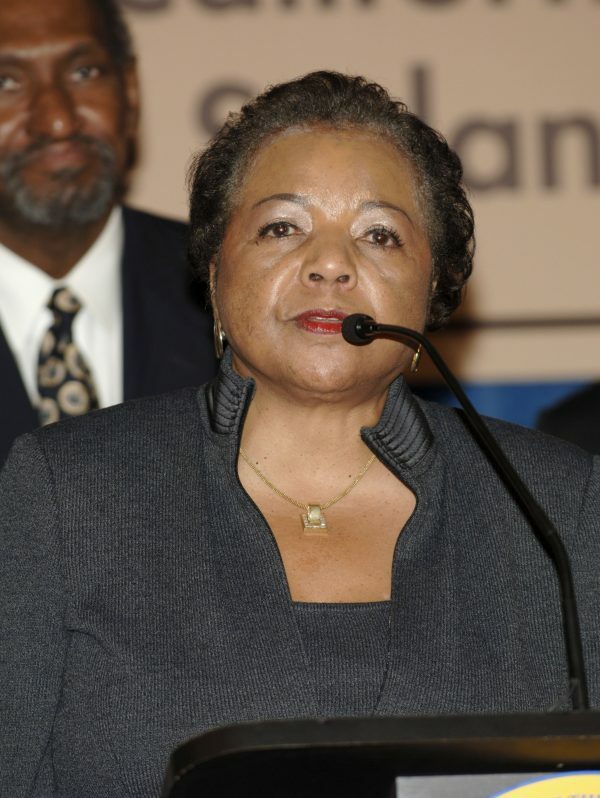 The regional head of the black advocacy organization, Alice Huffman, brought up the idea at a recent NAACP state convention. The California NAACP wants to introduce a resolution to state lawmakers that proposes abolishing the current national anthem. 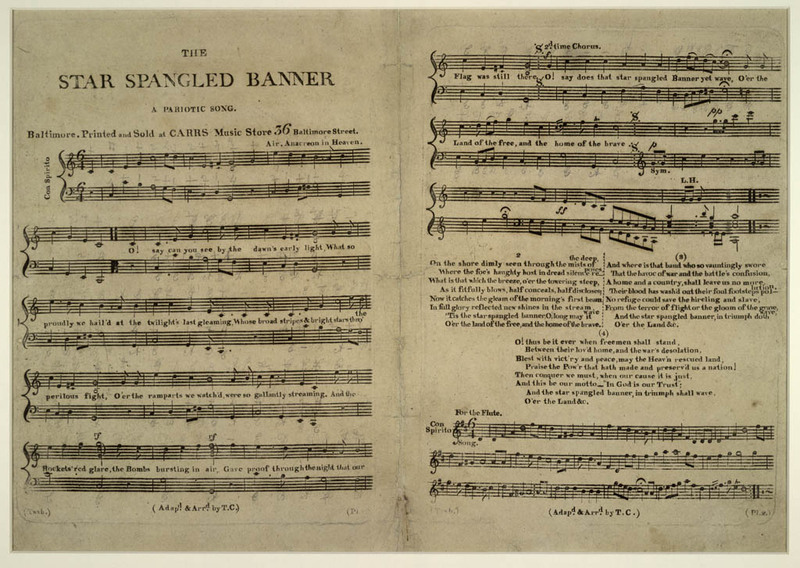 Huffman said the NAACP has nothing against the flag the early 19th-century song celebrates. Her beef is with the song’s third stanza, which is less known because only the first stanza is commonly sung. The author, however, didn’t refer to hirelings and slaves in general, but to a very specific group, explained Mark Clague, musicologist and professor of music history, American culture, African and Afro-American studies, and entrepreneurship at the University of Michigan in a 2016 CCN op-ed. 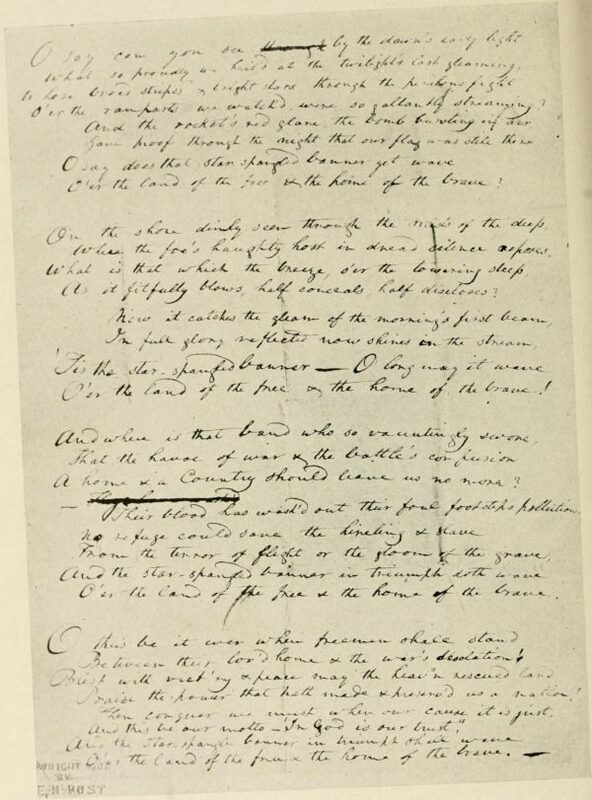 The lyrics of “The Star-Spangled Banner” were written by Francis Scott Key, a lawyer and an amateur poet. 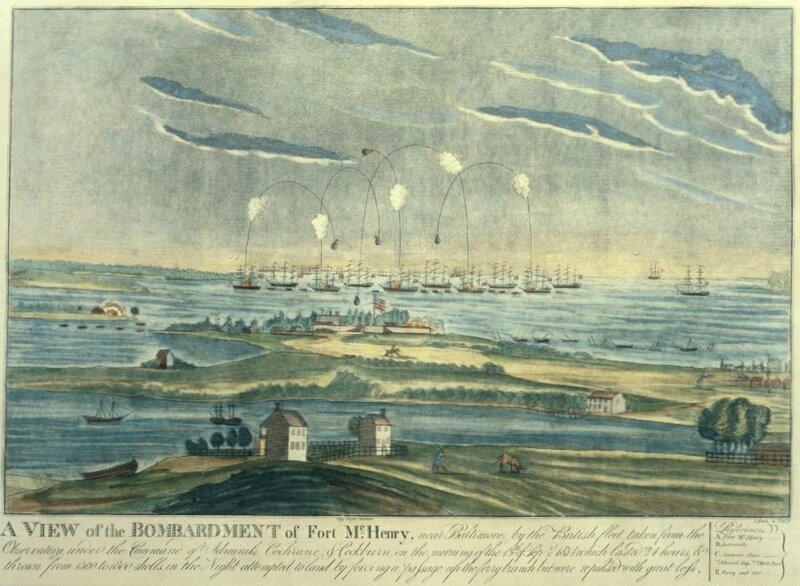 In 1814, Key witnessed the bombardment of Fort McHenry by British gunships during the Battle of Baltimore. The defenders faced overwhelming odds. But as the shells and Congreve rockets burst in the air, illuminating the battlefield, Key saw one of the fort’s storm flags was still standing. 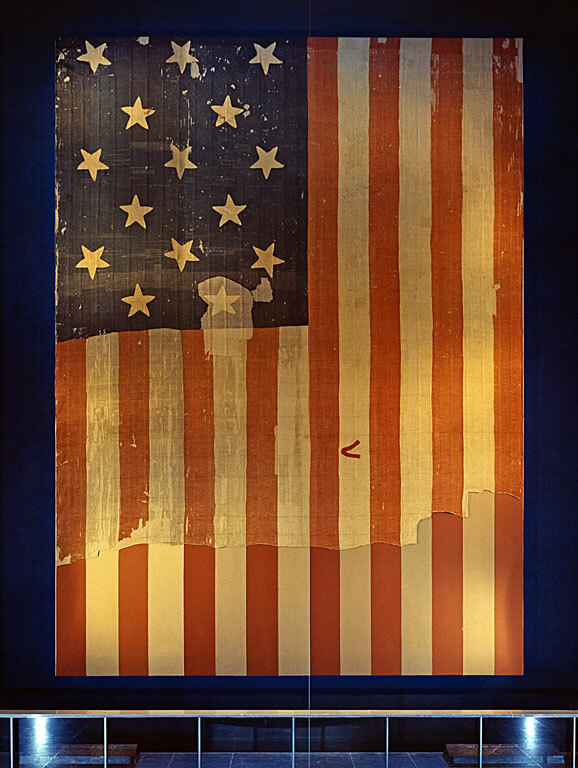 In the morning it was replaced with a large flag, signaling the defenders succeeded. Key was so moved by the scene, he captured it in a poem he wrote down on the back of a letter he had on himself. The attacking troops largely consisted of British mercenaries (hirelings) but also of the Corps of Colonial Marines, who were escaped black slaves. The British had promised the slaves freedom, and later delivered on that promise. Based on his biography, Key saw slavery as immoral, Clague said, but also went with the flow of the legal system that, at the time, enshrined the practice. He inherited seven slaves and freed at least four of them. In court, he represented some slave owners who sought to keep their slaves but also slaves who sought freedom, whom he served pro bono. He also founded the American Colonization Society, which bought slaves and offered them free passage to Africa, although that approach was problematic, since most black slaves of the time were born in America and had never even been to Africa. “Key was not an abolitionist, yet he was not an ardent supporter of slavery either and is better understood as one dedicated to ending slavery,” Clague said. Clague encouraged Americans to go beyond “rote singing” of the anthem to learning about the history that gave birth to it and to learn both from the glories and faults of their ancestors. “America’s history and thus America’s anthem can be powerful tools to achieve a better understanding to learn about ourselves and to imagine a better collective national future,” he said. We work hard to deliver the most important and interesting news of the day for you, but would like to ask a little favor in return: Would you mind sharing this story with your friends? You can just click the share button on the Facebook post below. Thank you!